As solar energy and solar car enthusiasts, and solar car racers and teams from all corners of the globe converge upon Darwin, Australia, awaiting for the first day of this year’s Bridgestone World Solar Challenge 2015, these 44 teams from 25 countries/regions are taking on the ultimate endurance challenge in the harshest of climates to demonstrate to the world that our automotive future will be shaped by the solar energy. 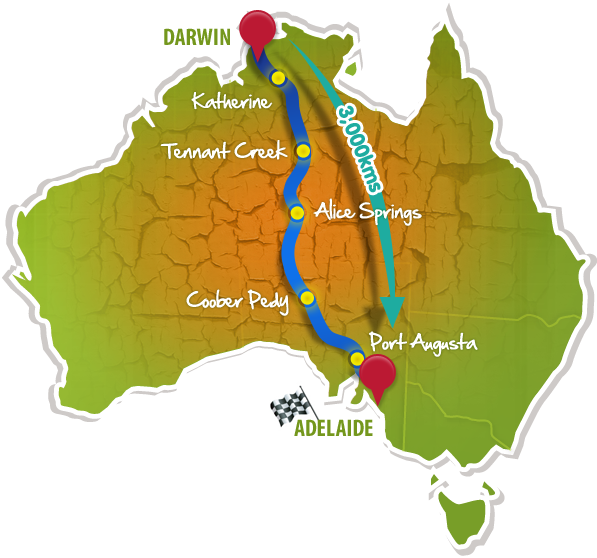 This 3,000 kilometer event between Darwin and Adelaide, Australia, will begin from the State Square (in front of the Parliament House) of Darwin, Australia, on Sunday, October 18, 2015, at 8:30 a.m., and the leading cars are expected to arrive late on Wednesday (Oct. 21, 2015) or early Thursday (Oct. 22, 2015), finishing at the City of Adelaide’s Victoria Square, Australia. Since last race in 2013, there has been a dramatic increase in the number of entries for Cruiser Class (up to 11 in 2015). For a complete list of all the entering solar cars this year–>click HERE. Here, at Sun Is The Future, we wish all participating teams a good night’s rest and a great journey! Keep in mind that we earthlings all owe a great deal to these energizing people for being the forerunners of the Solar/Renewable Future! More will be reported on World Solar Challenge 2015 in future posts. This entry was posted on Saturday, October 17th, 2015 at 9:06 AM	and is filed under Educational, Events, News. You can follow any responses to this entry through the RSS 2.0 feed. You can leave a response, or trackback from your own site.